The Mentor Ice Breakers will play host to the Danville Dashers this weekend in a two-game series at the Mentor Civic Ice Arena. The teams have matched up three times this season, with Danville winning twice. The last time the Dashers played the Ice Breakers, Derek Moser made 28 saves as Mentor cruised to a 6-0 shutout victory on home ice. Friday's game will feature a postgame skate for all fans in attendance. Skate rental is just $3.00 and fans will have the chance to skate with Ice Breakers players for an hour after the conclusion of the game. Saturday night marks the Ice Breakers' First Responders Night, presented by Prestan Products. For more information on the festivities taking place, click here. 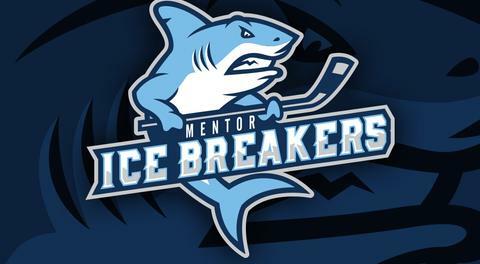 The Mentor Ice Breakers’ up-and-down season continued last weekend with a series split against the Port Huron Prowlers. The Ice Breakers posted a 4-3 win at home on Friday, recovering from a two-goal deficit late in the second period. Forward Gordy Bonnel netted a pair of goals in the final three minutes of the second and now has a 12-game point streak, including five points (3-2-5) in four games since returning from a two-week absence due to an upper body injury. 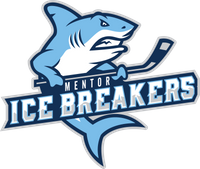 Bonnel has been an important part of the Ice Breakers’ success in their inaugural season. The Maryland native averages 1.3 points per game and leads the team in plus-minus at plus-4 despite Mentor holding an overall minus-41 goal differential. The 26-year-old also leads the club with four goals on the power play. The Ice Breakers have been plagued by slow starts throughout the season. That was the case last Saturday night when they allowed three first-period goals and fell behind 4-0 early in the second frame. Mentor ultimately fell by a 6-3 final. The Ice Breakers currently sit 10 points out of the fourth and final playoff spot. Because the FHL uses a 3-2-1 point format in which a regulation win awards three points, a hot stretch could quickly push Mentor close to playoff contention. Defenseman Thomas Devesvre has been out since December 26 with a lower body injury. The Ice Breakers are hopeful he can return to their lineup soon, especially since he seems to have found his way offensively. Devesvre had four points (2-2-4) in his final four games before suffering his injury. The Porrentruy, Switzerland, product had the first multi-point game of his FHL career with a goal and an assist on December 15 against Danville. Speaking of blueliners contributing on the offensive end, Thomas McKinnon leads the Ice Breakers’ defensive corps with five goals. McKinnon has a 5-7-12 scoring line in 25 appearances and has scored a goal in three of his last five games. This weekend’s games are extremely important to the Ice Breakers for several reasons. For starters, Mentor has a three-game series with the Carolina Thunderbirds looming January 25-27. The T-Birds are riding high with a 15-game winning streak ,and goaltender Christian Pavlas, who leads the FHL in all major categories, has returned to the club following an SPHL call-up to the Fayetteville Marksmen. The Ice Breakers were the last team to beat the Thunderbirds and have handed Carolina two of its three regulation losses, but the T-Birds look unstoppable right now. If the Ice Breakers hope to qualify for the Commissioner’s Cup playoffs, they need to put together an extended stretch of quality play sooner rather than later. As a young team with several players who have not played professionally prior to this season, Mentor has worked through its fair share of growing pains. Now, it’s time for the Ice Breakers to put it all together if they hope to make a run to the postseason. It’s tough to say that any game is a must-win at this point in the season, but the Ice Breakers will put themselves in a difficult position if they don’t start winning games on a more consistent basis. 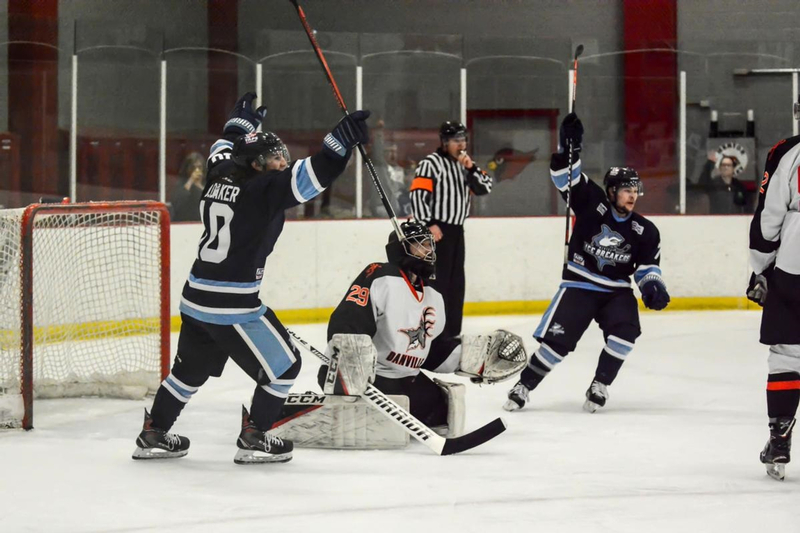 If it wasn’t for the Dashers’ red-hot start to the season, they would probably find themselves behind the Ice Breakers in the FHL standings. Danville has lost 11 of its last 12 games and has been in a free fall since mid-December. The Dashers have improved their play recently, logging a 5-2 home win over Port Huron on January 5, but they’re still struggling to find the win column. Despite its troubles, the Ice Breakers have no reason not to take Danville seriously, especially since the Dashers are seven points ahead of Mentor. Despite losing two games to Carolina last weekend, Danville played well and nearly beat the Thunderbirds in a 5-4 loss Saturday night. Minor league teams in all sports suffer from the effects of call-ups and injuries. The Dashers have been hit especially hard, losing forwards Ryan Marker (13-15-28 in 14 GP) and Stephen Gaul (16-11-27) to SPHL call-ups, as well as defenseman Aaron Atwell (0-11-11). Danville fired head coach Paul MacLean in mid-December, but it doesn’t seem to have made things any easier for the Dashers. Leading scorers Justin Brausen (13-19-32) and Daniel Martin (11-16-27) are two players for whom the Ice Breakers will need to be on the lookout. Additionally, player-coach Dustin Henning (4-16-20) is a 34-year-old veteran who has been in and out of the FHL since 2011. Henning gives the Dashers a strong defensive presence and has been around the organization for quite some time, first appearing in a game with Danville back in the 2011-12 season. Former Ice Breaker Ryan Alves made his Dashers debut last weekend and did not register a point while going minus-2 with seven shots on goal. Alves had a 5-7-12 scoring line in 19 games with Mentor before being sent to Danville in exchange for cash considerations. Danville hasn’t won a road game since a 5-2 win over Port Huron on November 21, but the worst thing the Ice Breakers could do this weekend is fail to take the Dashers seriously. Danville has gone through plenty of roster turnover, but it still has several quality veterans who will be looking to right the ship at Mentor Civic Ice Arena. Carolina’s incredible run continued last weekend with a pair of victories over Danville. The Thunderbirds were missing goaltender Christian Pavlas and instead started FHL veteran Frankie McClendon in both games. They will look to continue their winning streak this weekend at home against the Watertown Wolves. The Elmira Enforcers have been on an impressive run of their own lately, with wins in eight of their last 10 contests. If it wasn’t for Carolina, Elmira could be at the top of the FHL standings. The Enforcers have suffered eight of their 10 regulation losses to the Thunderbirds, posting a 13-2-1-3 record against the other five clubs in the league. Elmira is ahead of Watertown in points but trails the second-place Wolves in the standings due to Watertown holding a higher points percentage. The Ice Breakers will face off against Carolina in a three-game series January 25-27. Mentor will play the first two games of the series in Winston-Salem, North Carolina, before heading home for a Sunday afternoon matchup against the Thunderbirds. After that, the Ice Breakers will travel to First Arena to take on Elmira in a pair of games February 1-2.